They sure forgot to teach us a lot of things when we got promoted to management that are critical in today's market. As a result, almost every dealership has become totally dependent on the market for their success, as we've all seen these last couple of years. And being Market Driven today can put you out of business fast. On the other hand, learning how to become Management Driven can put your dealership on the map, because learning how to control sales and profits month in and month out is your key to consistent, and continuous growth year after year. Our goals in this program are simple: get all of your managers on the same page and teach every manager how to train, coach and manage their salespeople and their activities, so you can control growth in your dealership and learn how to turn 60% of your ‘new gross’ into pure ‘net profit’. To improve, you have to have potential, and you know your market better than anyone. We'll walk you through a simple evaluation process guaranteed to do two things: determine your real potential, and shock you at how much real opportunity you have in today's market. They taught us to work long and hard, but they sure didn't teach us the most critical skills we need to turn our salespeople into high achievers. We'll show you how to turn that long hard work into results more often. There is some ‘Rocket Science' to growth, but learning to grow by giving your prospects what they expect isn't one of them. We'll cover the most current facts about today's customer; their wants, needs and what they tell us are critical to you making the sale. Ever wonder why salespeople hit their peak in sales in about 90 days? This is too easy; when they stop developing new skills, they stop growing in sales. In this section, we'll explain how people learn, we'll define the differences in training new salespeople versus what your experienced salespeople need, and we'll cover the most critical skills everyone has to have in today's market so you can increase your unit sales and net profit. Market Driven Dealerships hope it works out - Management Driven Dealerships make it work out. There are three critical keys to growth and we'll show you how to evaluate what you're doing now, how to set accurate projections and forecasts, and we'll teach you why it's critical and exactly how to set and reach your sales and profit goals. 95% of your success will be determined by the people you hire. We'll identify the right people for a successful career in automotive sales, we'll show you where to find them, and show you how to improve your hiring process so you can fire the wrong people before you even hire them. 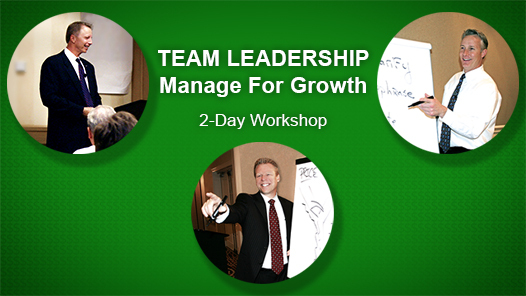 Contact Us for a special consultation of Joe's Team Leadership Workshop. We just wanted to give a shout out to Joe Verde and the team, and tell you all thank you for all your help last year. We had a successful year here at Fremont Ford Riverton and won Sales Team of the Year in our organization by selling 511 units at $5,051 a copy and none of it would be possible without the help and guidance of all of you. We were able to run the numbers we did by continuous training every morning and various times throughout the day on JVTN®. Every one of our salespeople is trained on the 3 pass pencil script (negotiation process) you teach and are able to present any proposal without any hesitation and overcome the majority of objections thrown their way. We track every move we make in the Monthly planning guide which has made a huge difference with our sales team and knowing exactly where we are, and what we need to improve to get to where we want to be. As you can see your group has played a huge part in our success this year so once again we just want to say thank you for all that you've done and continue to do and we look forward to Happy and Prosperous 2018!!! We are your #1 fans! Joe, since returning from your Train the Trainer workshop, my meetings have been amazing! 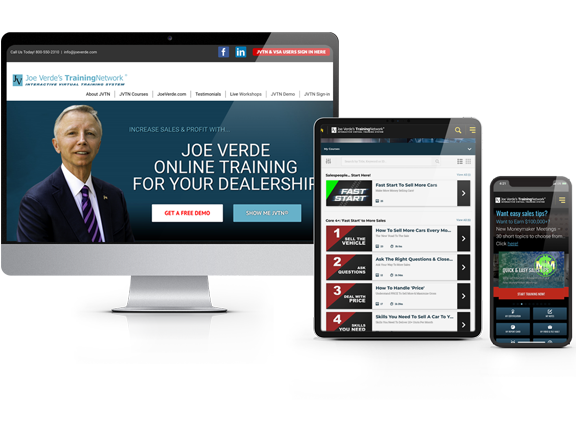 When I got back to the dealership, we started training with the Core 4 Selling Courses on JVTN® and are already on track for our best February in years. Plus, we're also already up $34,000 over last year. I am better prepared now for my meetings, they are interesting, informative and have a real value to my sales team. We are training 3x per week, and just like in your class, we've made it a ‘negative free zone' and are practicing a whole lot more than ever. They are enjoying the training so much more and getting so much more out of it. Thanks for a great workshop that really showed me the finer points of becoming a great trainer, and leader for my dealership. 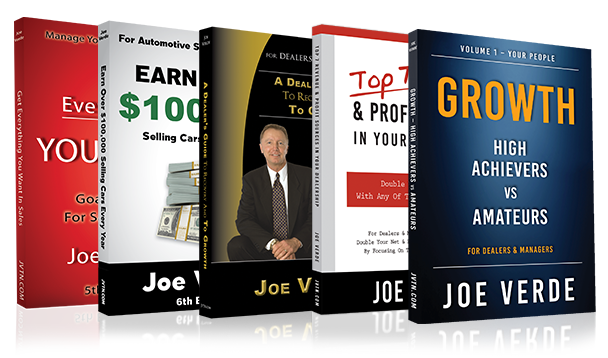 Joe, after attending your TTT workshop, I realized a sales meeting is not a training meeting. Before class, we weren't using JVTN® effectively, but with what I learned in class, now our meetings are ‘Training' meetings. We start with the WIIFM (what's in it for them), I get them excited about the chapter we'll take next on JVTN®, and now my team walks away with a skill after each meeting. You always say to ‘get back to the basics' so we restarted our online training again with your ‘How To Sell A Car' course. We've been practicing the way we were taught in class and the results were immediate. We're a small dealership and our current average was 29 units a month before the workshop. The month after the class we sold 47 units (62% improvement), and this month we're already on track for 54-almost double what we were selling before the workshop. Thanks for the insider's view on how to plan, prepare and implement great training that gets results now. NEED TO SELL MORE & UP YOUR GROSS?